Memorial Day weekend is traditionally the unofficial kick-off to summer. True summer doesn’t grace us until June 21, but historically it’s plenty warm enough in Northern Illinois for pools to open the last weekend of May! Just last Thursday I grabbed the collection of coats that had accumulated in the backseat of my car over the winter (I don’t like to drive with my coat on, but I can’t seem to leave my house without grabbing –another- one, just in case!) Funny, who’d a thunk that on May 23, I’d be premature in putting my COATS away! Believe it or not, we ARE transitioning into summer… As a matter of forecast, it might hit mid-80’s in a day or two! The seasons are just one example of continual change in progress. I blogged about it before, The New Normal, you know, where we’re constantly wondering when things will “get back to normal?” And I’ll say it again, THIS is the new normal. The sooner we embrace persistent flux, the better. Well, hold on loosely, I guess. Kind of hard to embrace, transition is pretty slippery. We are constantly being bombarded with information, updates, headlines and instinctual inconsistencies. I don’t think we have enough time between assaults to process before we are forced to shift our thoughts, actions, interests yet again. 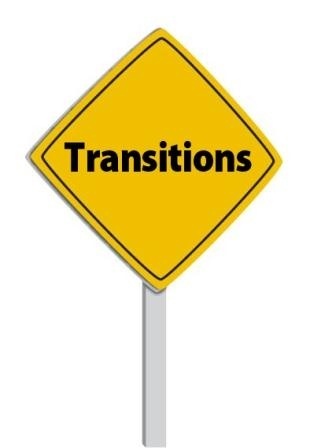 Compulsory transitioning. No matter where you are, you’re between something. Enjoy each moment—or don’t—they’re passing either way. I hope you’ll celebrate Memorial Day. Attend the parade, put out your flag, swim in the pool, enjoy the cook-out, but transition works in mysterious ways—you might want to cover your flowers in case of frost. T is for Transitions is part of the In Print ABC Blog Challenge. It’s never too late to begin. Perhaps you are ready to blog regularly NOW, having completed some other transition. This entry was posted in It's all about me, It's all about You and tagged Mary Lamphere, Memorial Day, The New Normal, transition, transitioning. Bookmark the permalink. Ha, you may never, but I just might… resistance is futile!